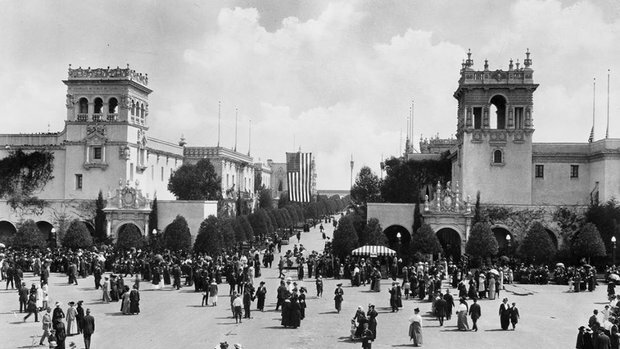 The mismanagement of efforts to stage a year-long centennial celebration of the 1915 Panama-California exposition continues to make headlines. A City Council committee order an audit of public funds spent by Balboa Park Celebration Inc. yesterday. A follow-up hearing on April 23 was set by Councilman David Alvarez to measure progress toward production of records and along with information on the shutdown of BCPI. Voice of San Diego drew upon its network of movers and shakers (a side benefit of continual fund raising) to produce a report on centennial efforts including points of view from insiders and those close to the soon-to-be-defunct nonprofit celebration committee. Councilwoman Marti Emerald questioned a spate of spending decisions, some of which continue to cost the organization significant money. Among other things, Emerald asked Braun why the group chose contractors with ties to former Mayor Jerry Sanders others in the local Republican Party. She also questioned why Braun — a former top aide to Sanders — saw his Balboa Park Celebration pay jump from $8,000 as communications director to $13,000 a month as the transition director. “It seems like a lot of longtime friends were given this money with nothing to show for it,” Emerald said. Other residents told the committee hearing about difficulties in their attempts to volunteer and the group’s unwillingness to be forthright about their processes. City Attorney Jan Goldsmith was tasked with preparing a confidential memo regarding potential liability the city might face as its assumes control over planning of centennial events honoring the milestone Panama-California Exposition of 1915. The memo to the city from BCPI about it’s dissolution asks to be excused from any future liabilities resulting from their efforts. “The city spent some money and there needs to be some, certainly, some explanations,” City Attorney Jan Goldsmith told the committee members. He said city lawyers are negotiating the termination of two deals with BPCI — a memorandum of understanding and a funding agreement. Goldsmith and Gerry Braun, who is handing the disbanding of the organization, noted that the group is made up of community volunteers with a long history of helping San Diego who are “distraught” at their inability to present a celebration that would generate international attention, as first envisioned. Scott Lewis and Andrew Keats at VOSD penned a lengthy, detail rich account of the BCPI story. It starts with Mike McDowell, a big time player in the hospitality industry, who also served as one of the three CEOs for BPCI. Following a failed attempt at the ballot box to raise the city’s hotel room tax, the story credits him with initiating the concept of having a “special district” of hotels would then be considered the electorate for purposes of imposing a “fee” on hotel room charges. …the man who had created the Tourism Marketing District became the man who made sure that it funded the Balboa Park 2015 celebration. The same man who wrote the nonprofit’s operating agreement with the city was suddenly its chief executive. McDowell is entrenched in the city’s business community and its conservative political coalition. He was a major supporter of Sanders and backed Carl DeMaio over Filner in the 2012 mayor’s race. He was one of many close ties BPCI had to Sanders’ administration. It shouldn’t be surprising to anybody who’s read any of the other stories quoting BPCI boosters that the pinata formerly known as Mayor Bob Filner gets pummeled for the group’s failure. The VOSD account does get past the ex-mayor blame game eventually, pointing out there were other reasons for the collapse of the group, including the lack of vision (something they said at the start they were creating) and a falling out early on with hotelier Bill Evans. One issue I have with the BPCI-centric details of this reportage are the voices of those people who’ve been at odds with the BPCI/TMD/Sanders program from the start aren’t included. George Mullen, whose prescient warnings about the dangers of the TMD /hoteliers involvement were actually published in VOSD is an example of somebody I think shouldn’t have been left out. There were lots of other people who interacted with this group and I suspect their points of view won’t fit neatly into an audit or a City Council report. And that’s the real tragedy here. Because if a celebration had been built from the ground up, for the benefit of the entire community, it would have worked. Instead what we got was Jerry Sanders creating a private entity to “outsource” centennial planning along with control over park assets for 2 full years. The usual lines of communication along with paths for citizen involvement (and oversight) were cut as a result of this initial decision. And now Bob Filner gets the blame. Nothing I’ve seen thus far amounts to criminal behavior. With City Attorney Jan Goldsmith in charge of investigating, you can be assured that those who “really count” in this city will rest easy. There’s a second VOSD post telling us that all is not lost for Balboa Park 2015. The Tourism Marketing District still has the money it budgeted for promoting the centennial sitting in an account, awaiting the new plans. That’s almost $2 million for marketing whatever event Mayor Kevin Faulconer and City Council President Gloria announce. Doesn’t it strike anybody as ironic (and probably foolish) that the TMD / hotelier crowd is now being presented as the savior option for the Centennial…with $2 million at the ready if only the right product is available? Holy cow! These are the exact same people who caused the Centennial catastrophe in the first place. So there you have it. All roads in San Diego would seem to lead to the same money pot. And the folks who’ve already shown they won’t be influenced by mere public sentiment are in charge. I have watched with dismay, and tried to address organizations, individuals and contractors various times throughout the past two years but my questions and offering of assistance fell on deaf ears at every meeting I attended or tried to or there was NO follow up to inquiries even after initial discussions. I worked with UNA USA San Diego, an organization founded by Eleanor Roosevelt over 65 years ago and also OVERLOOKED and left out from the planning effort (with the exception of Autonomy who consulted with us), for over 2 years researching and preparing a nomination proposal/letter for signature that could be submitted by the Mayor as a letter of intent to nominate Balboa Park as a World Heritage Site through the US National Commission for UNESCO and the National Parks Association (who has oversight over international affairs) in Washington, DC. This is a privilege that comes with great benefits if accepted and the same kind of initiative to nominate the Alamo State Park in San Antonio, Texas recently was presented, setting a great model of how this could be done. However, all the efforts were in vain despite the numerous meetings and presentations at City Hall. To me, this effort was another prime example of the “bold and the beautiful” who ignored the voices of the people, the volunteers, the ideas and visions that did not cost a penny, and so characteristic of San Diego politics. I know that communities are very capable of pooling resources and making things happen…such as the annual Earth Fair that almost got SHUT DOWN last year because of bureaucracies and special interests. All of this, when our gorgeous city has so much to celebrate and yes, to attract tourism. If we were to get lucky enough to get a legacy of being nominated and then inducted as a World Heritage Site, what a legacy that would be to honor our city…and it wouldn’t have cost more than what our volunteers and some of us have contributed in hours of tireless work and effort to make it happen. Unfortunately, the letter of intent remained in the Office of the Mayor without a signature and time has slipped away to get the nomination on the agenda with UNESCO.